Interested in buying a home, villa or other property? Click to Contact Me! 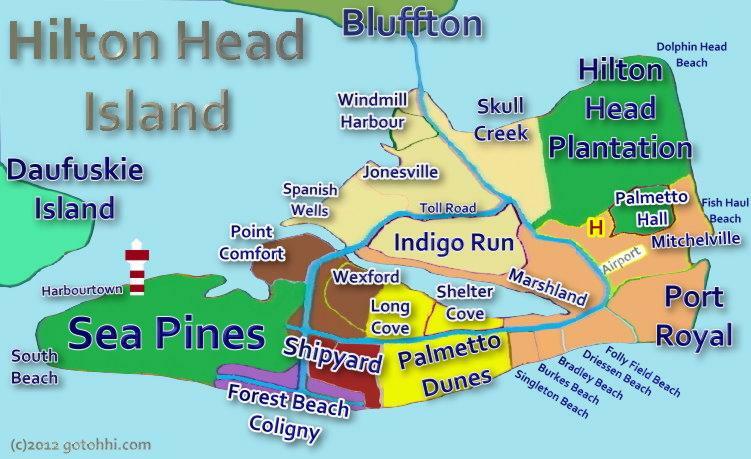 easiest way to learn about Hilton Head while searching for your perfect beach home! Advanced Search: Click Here to search ALL properties in MLS! Hilton Head Resort Hilton Head Resort has low priced, high value ocean-oriented villas with beach, tennis, pools, nearby golf and many great amenities. 2 or 3 bedrooms with 2 baths starting in the low 100ks! This is not a time share. A super opportunity on Hilton Head Island. I've owned a villa here since 1997! Check out www.hhresort.org then click the link below for a list of villas for sale. Email or call me to schedule a viewing. Villamare Villas Villamare Villas is a beautiful oceanfront complex in Palmetto Dunes. Large villas, great views, indoor and outdoor pools and easy walking distance to restaurants and bars. Check out www.villamarevillas.com then click the link below for a list of villas for sale. Email or call me to schedule a viewing. Or click these Instant Links to check out some of the area's hot properties! Need a Handicap Accessible Home or Villa? Need a slip for your Boat? Interested in selling your home, villa or lot? Contact Me for listing information. All of my clients are marketed with detailed pictures and comprehensive internet marketing. Most buyers of Hilton Head property live hundreds of miles away and this is the most important way to set your property apart from all the rest. Let me help you find your dream resort, vacation, home or retirement property on Hilton Head Island, Daufuskie Island or Bluffton, South Carolina! As a resort property owner since 1997 and an island visitor since 1992, I understand the fun and investment benefits of owning your own vacation home at one of the greatest vacation destinations in the world! Hilton Head is also a great place to live and retire with a wonderful year-round semi-tropical climate in a fun, family-oriented, natural environment. If you are thinking of relocating, I can help you since we did the same thing in July 2002. The schools, parks, festivals, history and the people on Hilton Head are outstanding! In 2016 Hilton Head Island High School was ranked by US News and World Report #1095 out of 21,000 schools across the country and #5 in the State of South Carolina!. The only problem with living on Hilton Head Island is, "Where do you go for vacation?". Click my email address to contact me and let me know how I can help you and your family maximize your vacation dreams! I will do the research for you and email you a custom website with some incredible properties to meet your needs. Hilton Head has properties to fit every budget! I specialize in finding bargain homes, villas, lots and equity shares in everyone's price range! Current Sales - My recent sales and pending closings. This will give you an idea of what's selling and actual real-world prices. Rental Proformas - These are spreadsheets with estimated rental performance, property expenses and profit or loss from renting a vacation home, vacation villa or long term rental property. Golf and POA Chart - A spreadsheet comparing each residential golf community, the POA dues, golf memberships, social memberships, transfer fees and guest rates. This information is difficult to obtain and we've done the best job we can assembling all the data in a useful format. These fees change often and there may be other fees not shown on this spreadsheet. Cheryl can help lock down the exact fees once you've decided which plantation suits you best. Beaufort County Property Tax Calculator - Go here to calculate your annual property taxes. Use 4% rate if you are buying a primary residence and use the 6% rate for a 2nd home or investment property. The north end of Hilton Head Island is PSD #1. Local events and what's happening - Find out what events are coming up and fun things to do while visiting the island! Christine Karpinski's - famous vacation rental how-to books and seminars. These books will teach you how to rent your vacation home on your own without all the rental management fees. If you decide this is too much effort, Hilton Head Island Realty and Rentals is ready to help you with a rental management program. Suggestions on how to advertise and rent a villa by owner. Haig Point - A private, luxury resort on Daufuskie Island. One mile across the water from Harbourtown in Sea Pines. Our private ferry service takes you on a 25 minute boat ride to Haig Point every hour. No cars, no noise, no pollution, no worries. This is the true Lowcountry Paradise and where I live! www.GotoHiltonHeadIsland.com - a great web directory with links to almost every known Hilton Head Island web site. Vacation rental links, shopping, food and restaurants, government, schools and many different kinds of business links. Free links for any Hilton Head Island website. Our personal rental website - If you are interested in vacationing at Hilton Head Island, check out our villa. We have extremely reasonable rates on daily and weekly rentals. That way you can try out the resort and see if you want to buy or vacation here. Looking for Vacation or Monthly Rentals on Hilton Head Island?